This blog was written by Dorothy Okatch, a Campaigns Practicum Attaché for ONE Africa and 2015 Mandela Washington Fellow. To commemorate World Health Day, we want to showcase an organisation that’s found an innovative way of engaging marginalised communities on maternal and child health. 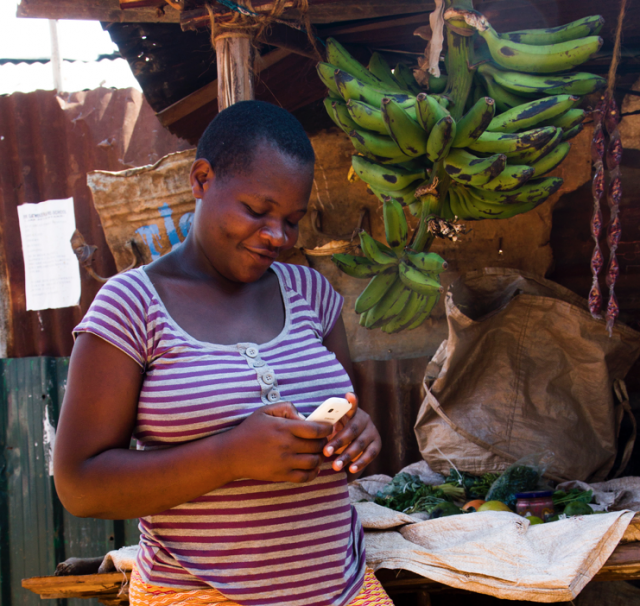 Totohealth was founded with the aim of reducing the high maternal and child mortality rates through the use of mobile technology. It was founded after the realisation that most cases of maternal and child mortality were among less educated groups of women. Totohealth was guided by a mapping process conducted in Kenya to establish the areas with the highest maternal and child mortality rates. The organisation has created an interactive text-messaging platform to enable parents from marginalised communities to monitor the progress of their pregnancy and development of their children until the age of five. Messages are specifically crafted for mothers, fathers, and parents of children who have special health conditions such as cerebral palsy, Down syndrome, and sickle cell anaemia. These messages are sent to parents twice a week and serve as reminders on clinic visits, birth plan preparation, and follow-ups to encourage adherence. The majority of the parents registered have low literacy levels and are from marginalised communities where access to primary health care is a challenge. Thus during registration they are able to choose which language they want to receive communication in between English, Swahili, or other local languages. In most African settings, fathers are not actively involved in raising their children. To address this, Totohealth has developed extensive content that is sent to the fathers to ensure that they are involved during pregnancy and after the birth of the child. The messages are specifically designed for the fathers with wording and messages that they would be able to relate to. This ensures that fathers are not left out of their child’s development. The interactive messaging system presents parents and community members with the opportunity to give feedback on the health services. They can suggest improvements and concerns as well as compliment the service that they received. Hospitals and counties can then use the feedback to improve their quality of services and offer a better experience for parents and children. Totohealth works with community health volunteers to identify needy mothers and fathers from marginalised regions in Kenya and Tanzania. The volunteers are attached to between 20 – 80 households depending on how sparsely populated the county is. The community health volunteers are registered in the Totohealth system and also receive messages that guide them on how to identify people who may be in need of assistance. There are currently has over 15,000 parents registered to the Totohealth platform. To ensure that adequate impact is achieved, it has been integrated into the health care delivery systems of 6 county governments, and 5 local non-governmental organisations in Kenya. Additionally, Totohealth regularly participates in round-table discussions on how to improve health outcomes in Kenya and advancing conversations on how to improve primary healthcare. The target that they have set for themselves is to increase the number of parents registered from the current 15,000 to about 65,000 mothers. Of this number, there are 1,500 adolescent mothers registered and receiving the messages. Totohealth conducted a study to assess the impact of the use of its mobile technology. The results showed that 87% parents who are registered with Totohealth attend the recommended 4 visits during pregnancy compared to a baseline of 47%. Findings also showed that 92% of Totohealth parents delivered at the facilities compared to a baseline of 43%. The number of parents who completed the immunisation schemes increased by 5.4% because of Totohealth interventions. These results indicate improved health indicators for children whose parents are registered to Totohealth. Join the movement of people demanding for an increase in funding for women fighting HIV and malnutrition. Sign the Poverty is Sexist petition!